Check out the upcoming ferret shows! There may be one in your area. Or, if you’re feeling adventurous, you could make a trip out of it. 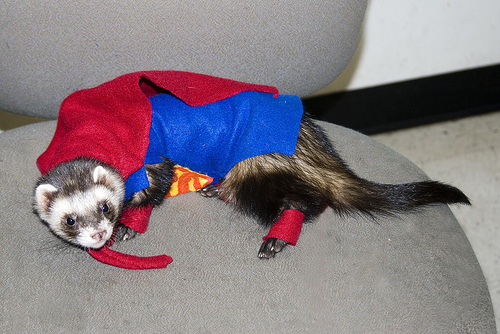 Make sure to get a funky ferret costume for all the upcoming Halloween happenings! This event will hold a ferret show, featuring ferrets of all sorts of breeds. There will also be crazy games, like paper bag escape, sock it to ’em, best costume, ferret jockey, car race and strongest ferret! There will also be vendors available to purchase all types of ferret food and accessories. It costs $1 to enter your ferret in each game. As for humans, it costs $4 for adults and $2 for children under 12, or free for children under 6. Vet check begins at 8 AM, the public can come in at 9 AM, and judging begins at 10. This will be a fun event, but you must RSVP. It will go on from 2PM-late. It will be held outdoors, on 17 acres of wooded grounds. Admission is either $10 without food, or $20 with food, with both meat and vegetarian options. It is a family all-day event, and they will host a bonfire at night. It is a humans-only event. You even have the option of camping there. 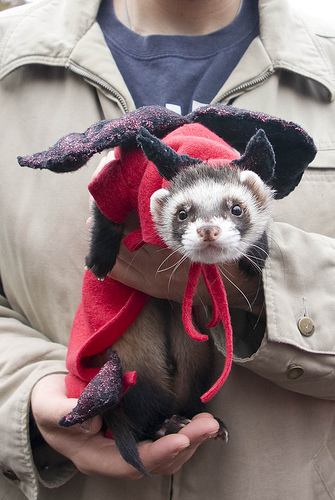 The Floridians know that ferrets and Halloween are the best combination out there. This event will host guest speakers, raffle prizes, a silent auction, dinner and a ferret costume photo contest. It costs $6 for humans, $3 for children. It will go on from 6PM-9PM. RSVP required. This will be the first annual pet event by this organization. It will feature sites and activities for ferrets, cats, dogs, rabbits, birds, turtles, snakes and more! Admission and parking are FREE. It will go on from 10 AM-6 PM. Great for the multi pet lovers out there! 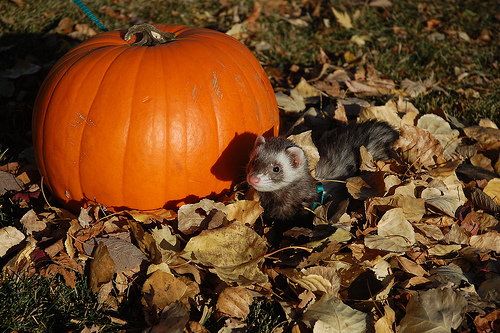 There’s probably no better way to spend your Halloween day than at a ferret convention! It is a fundraiser show where you can enter your ferret to be judged. There will be a ferret/owner costume contest as well. If you are not showing your ferret, it is $5 admission for adults, $2 for children and free for children under 7.